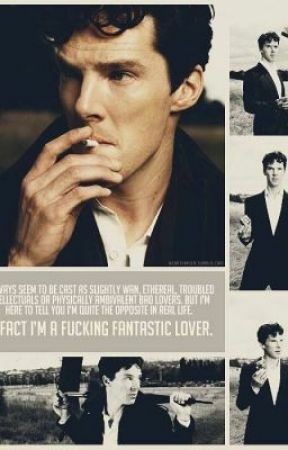 Sherlock felt raw, mind clawing away at his sanity. He turned on the couch over and over until he robe was tangled around his waist. Nothing he did made him comfortable, but he needed to do something before the madness overcame him. In swift motion, Sherlock rolled off the couch, eyes scanning the flat as he scuttled around. He needed to be quick, so no one else knew where his stash was. Every now and then he had to change it up because Mrs. Hudson or John would find it and the lot. Imbeciles, all of them! When he knew it was clear, he skittered over to the kitchen, to the sink. He pulled open the little doors and put his hand to the roof of the cabinet. But his hand felt paper, not cigarettes. Frustrated, Sherlock savagely ripped the paper down, bringing it out to see. It was a note from John. Damn him, he’d found the stash and hid it else where. At least that’s what the note said. Knowing John, he wouldn’t keep it in the flat, probably brought them to his office. A wave of insanity washed over him and he shredded the note into a million pieces before tossing them into the air. He scrounged around for his wallet and dashed out the front door to sniff out the nearest cigarette in London. He bought a pack, okay two, and a pack of nicotine patches incase John found the cigarettes. He was tempted, as soon as he had them in his hands, to smoke a cigarette, maybe three right then and there, but he decided, he wanted the moment to be perfect. So, Sherlock waited, making his way home, though he wasn’t one to take his time on his way there. Sherlock was practically sprinting by the time he made it home. He bound up the stairs, taking as many of them as he could at a time, putting his long legs to full use! The living room was so close, just out of his reach. He could see the fire place! He could see John! John was home! Fantastic! Wait. Not fantastic! John would steal his cigarettes! His patches! It wasn’t fair! He’d just gotten them! Quickly, Sherlock looked around. There was no place to put them, no place that John wouldn’t see the second he looked over. So, Sherlock tucked them into the waist band of his pajama pants in the back, cloaking them with the robe. He masked his face, flattening it into boredom as he strode in through door. 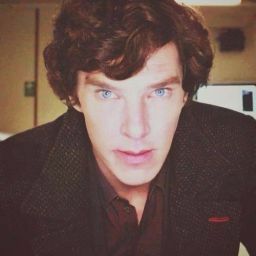 John was sitting, the daily paper in his hands, but as Sherlock entered, John’s gaze landed on the consulting detective. His eyes narrowed, scanning Sherlock- who filled with brief panic and regret. It was a fools choice to inform John the different between seeing and observing, for if John only saw, then Sherlock could get away with his little secret. But if John observed, Sherlock’s appearance alone would dictate suspicious activity with his elevated breathing, the pink in his cheeks from clearly being outside. Then the door slamming and the stomping up the stairs. He’d obviously done something. Blast! The note he’d torn up in his rage. He’d never cleaned it up. Hand out, John waited and Sherlock knew what for, so with a heavy sigh, Sherlock reached around his back and handed over two packs of cigarettes. John tucked them away in his pocket and he would find a place to put them. Sherlock crossed his arms over his chest and huffed, annoyed, but quietly hoping John wouldn’t know about the patches he still had hidden.